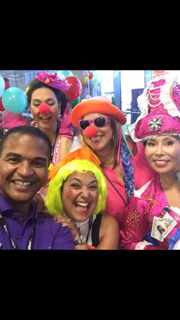 For 26 years, Envoy Captain Owen Cotto has worked for American Airlines in nearly every capacity possible. He’s seen the operation from basically every viewpoint: from the ramp, the gate, the ticket counter, the cabin and from the flight deck. But it isn’t the time he spends on the job that makes Owen who he is, it’s what he does with his free time that makes him special. Over nearly three decades, Owen has given his time and effort to a number of volunteer organizations. 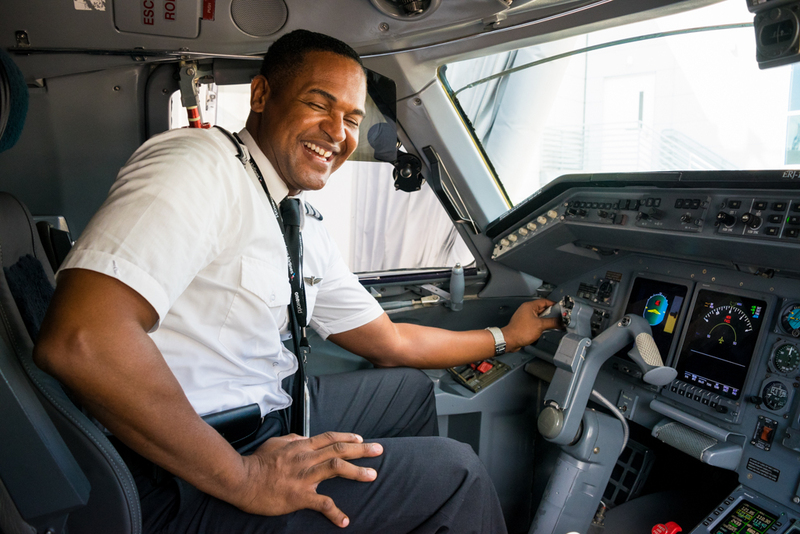 Beginning in 1991, Owen worked his first job for American Airlines in Reservations while he was in college until he transferred to Chicago O’Hare (ORD) to work as a gate agent. He then transferred to John F. Kennedy Airport and again to Miami International Airport. 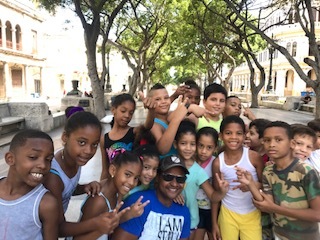 Immediately, while in Miami, his cheerful demeanor was noticed by another coworker who asked Owen if he would be interested in volunteering for the Something mAAgic Foundation (SMF). Given his parent’s history of volunteering and his affinity for helping children, Owen jumped on the opportunity to volunteer for the mAAgic Flights organized by SMF. 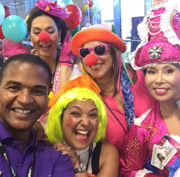 The annual chartered American Airlines flight takes young children with life-threatening conditions on an unforgettable trip to the Give the Kids the World Village in Orlando, Florida to visit the local theme parks. For the next 10 years, Owen would volunteer for the mAAgic Flights in any capacity he could; as a gate agent, baggage service agent and, eventually, as a flight attendant. During this time, Owen found another avenue to help children by visiting local grade schools in Connecticut, where he grew up,and Florida to teach them about aviation history and the career opportunities there. While in Miami, Florida, Owen found himself at a crossroads between choosing a new career in law or as a pilot. He was also in the midst of earning a living in real estate investment, but couldn’t escape his love of aviation, which began when he was a child. Owen says that ever since he was a kid, he wanted to travel the world as a pilot. He’s always had a curiosity for other culture’s way of life, languages and food. 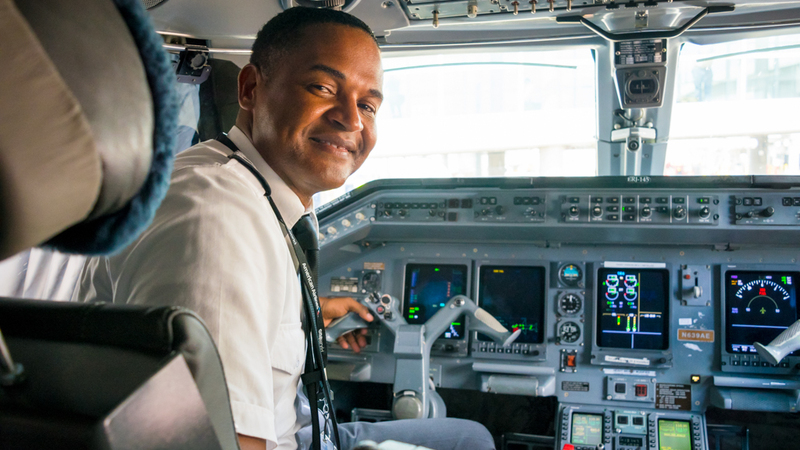 In 2007, Owen began his pilot career with American Eagle Airlines, now Envoy. Again, Owen continued to volunteer as a pilot for mAAgic Flights and at local schools teaching children about the wonderful world of flying for an airline. By 2014, Owen was voted as the first pilot to sit on the SMF Board of Directors, which is remarkable considering the first pilot was not from American Airlines, but from Envoy. At the same time, Owen was asked by the chairman of the Human Intervention Motivation Study (HIMS) program to become a Peer Monitor where Owen now sits as vice chairman. Another one of Owen’s many positions at American and Envoy has been as a pilot recruiter where he mentored pilots to help get the most out of their careers. His recruitment pitch to pilots, he says, is to tell them that they can see the world all while enjoying an amazing career. Owen is an avid traveler, and just this year he has been to the Philippines, Portugal, Switzerland and Thailand. He imparts to young pilots that the life of pilot is not just a job, but a lifestyle. Additionally, Owen says that Envoy touts amazing benefits, is a fun place to work and has the best leadership – from the CEO to the training departments to management in the field. When Owen isn’t flying an Embraer 145 or volunteering, he’s spending his time with friends and family or exercising. But, Owen is also tempted to put one more notch in his aviation-career belt; he’s contemplating the pursuit of an Airframe and Powerplant license. It seems that between all of his adventures, work and volunteerism; he wouldn’t have the time to go back to school. But, if anyone could find the time, it would be Captain Owen Cotto.